We didn’t pick that number for the lols. 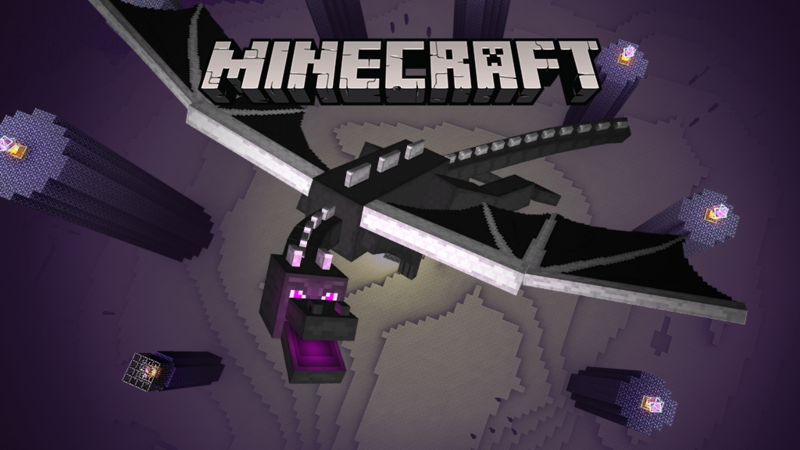 Our next update is packed with features but most significant is probably The End and its iconic inhabitant - The Ender Dragon. Though you can carry on playing after defeating the misunderstood beast, for many, taking it down is the ultimate goal in Minecraft. Something to aim for and achieve after hours of play. A tangible end-game for Survival players. Of course, we’ll continue to update Pocket Edition and the Windows 10 Edition beta after this update. There’s plenty more to come! Also, FYI, this is the update that the Apple TV Edition will ship with when it releases. Why not begin at The End, eh? Alongside The End we’re also increasing the world height to 256 blocks. If you ask me, a 256 block-high building is a silly, silly thing but I suffer from mild vertigo so take from that what you will. You also get the snazzy new Elytra, known to the average human as “wings”. They’ll give you a whole new perspective on your Minecraft worlds as you float around free as a bird. A bird who can’t fly upwards but is super good at gliding. There are a lot more features in the new update but we’re not going to go into those right now. We think it would be more fun if you find them out yourselves. Oh, and Android users get to test out the beta for themselves! If you’re playing on an Android device, sign up here and get testing. Remember though - betas mean we’re still working on the update so expect bugs and weirdness. Tell us if you spot ‘em and let us know what you think here. Thanks for sticking with us, everyone, no matter which platform you play on! Big congratulations to Pocket and Windows 10 for reaching the big 1.0. And sorry for sending millions of grizzled players into your home, Ender D. We love you really.